The Annual Christmas Walk is a holiday tradition for families in Auburn. 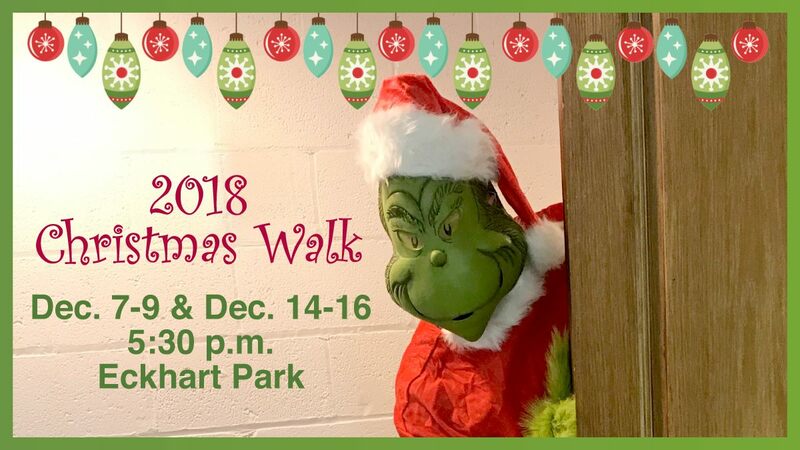 Stroll through Eckhart Park and enjoy Christmas displays and music. Santa and Mrs. Claus will be on hand for photos. There will be children's games and hot chocolate, too, to top off the fun event!